The Bandai 'three-piece gift set' contains 3 models, these are smaller than the 'deluxe' models, but larger than the small carded models. 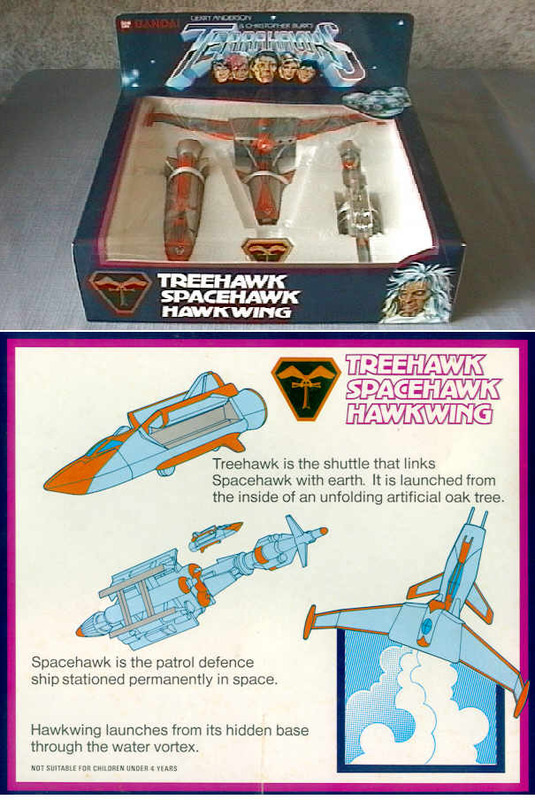 The set contains 'Treehawk' which measures 4.5 inches long, 'Spacehawk' also 4.5 inches long, and 'Hawkwing' 4.25 inches long with a wingspan of approx. 7.25 inches. There is also the Terrahawks lapel badge.